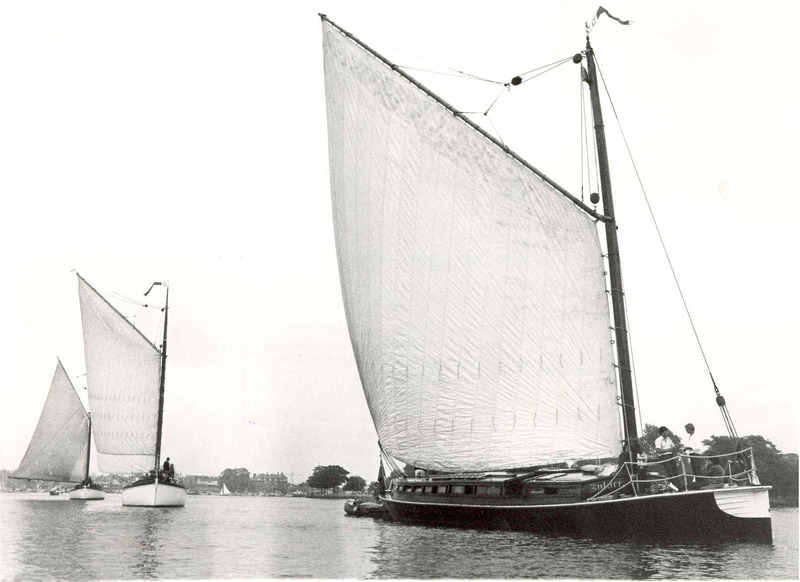 The wherry builders D S Hall of Reedham built SOLACE as a speculation but she was completed as a pleasure wherry in 1903 for Lt F S Rogers of Ingham Hall. 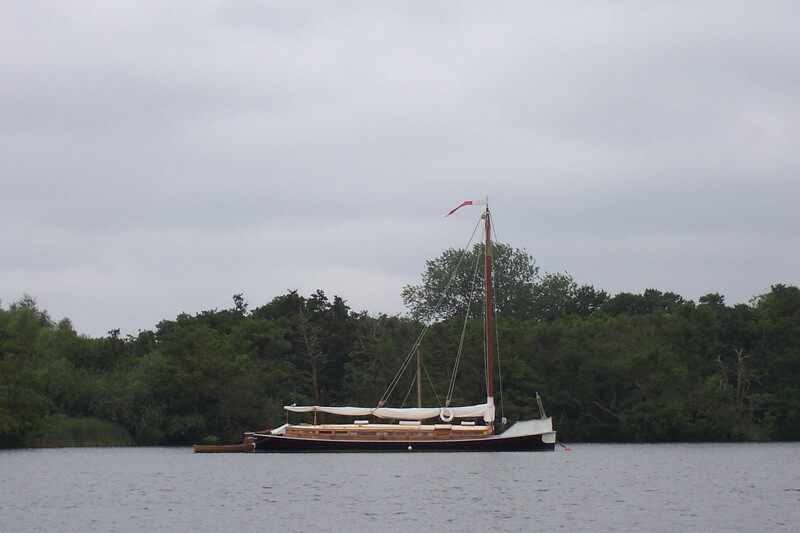 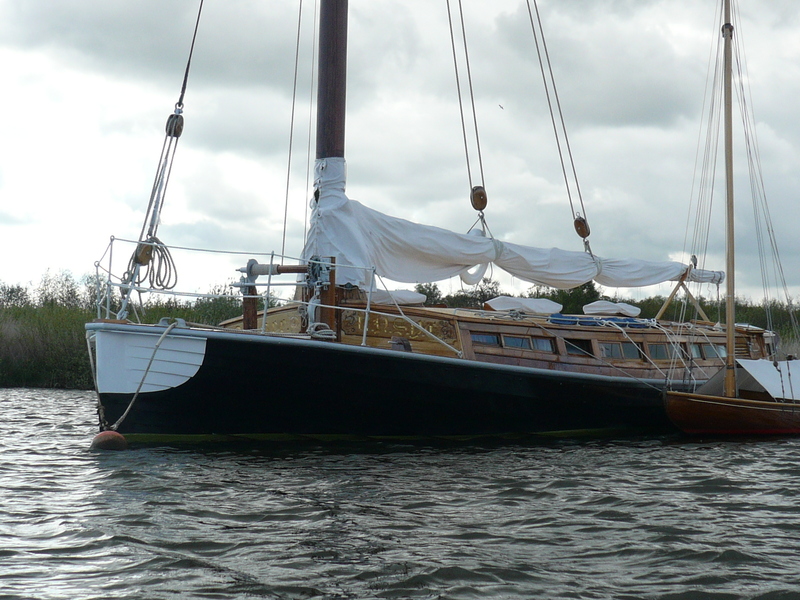 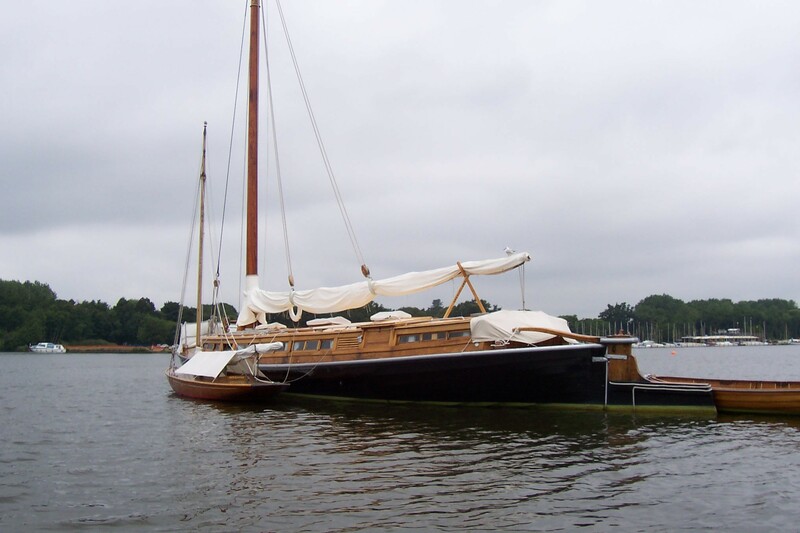 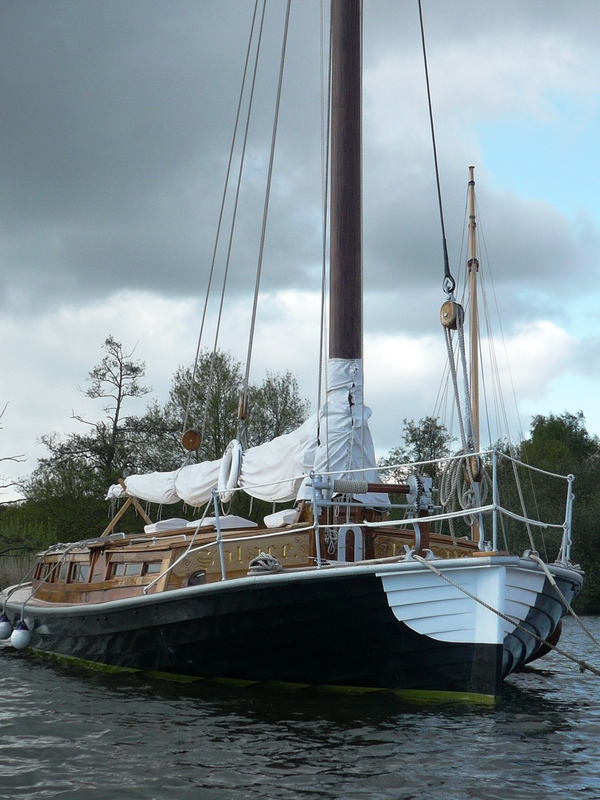 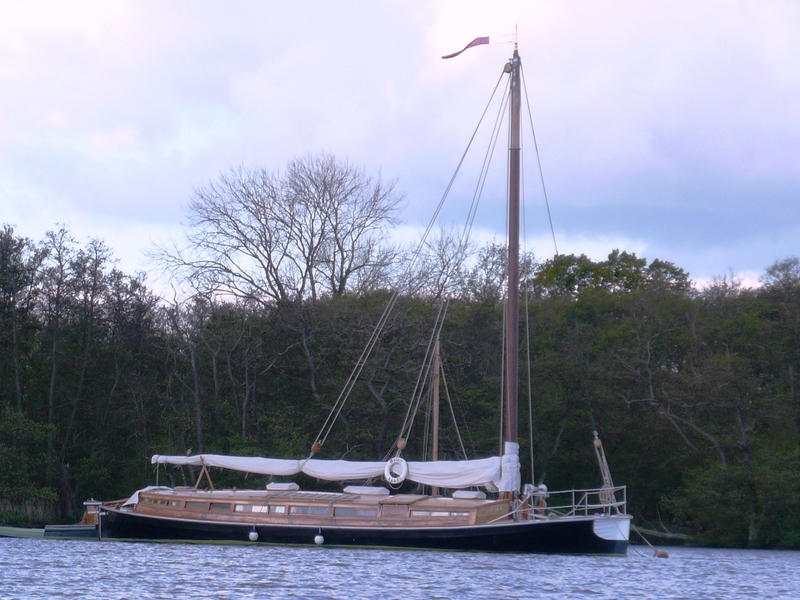 She had a successful early racing career in his ownership and remains today the only wherry in private ownership which has remained in full sailing order throughout its life. 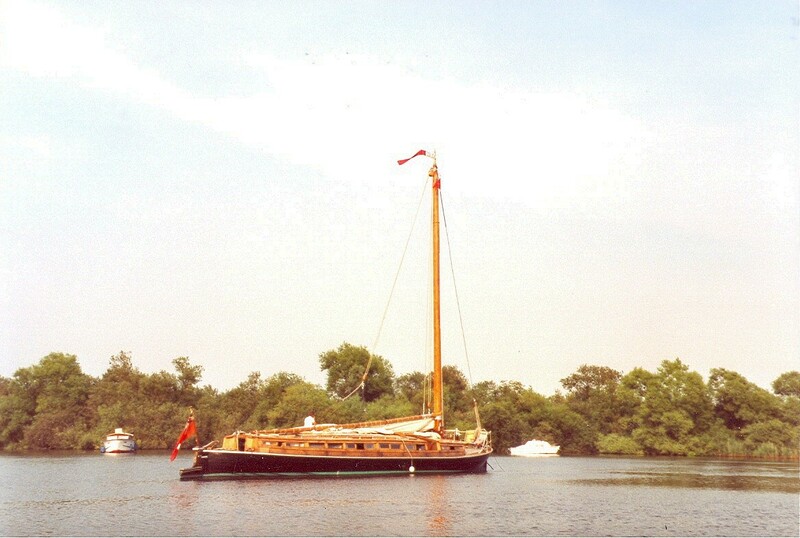 In 1919 Ernest Moy purchased Solace and kept her until 1943 when she was purchased by H R Rudd, and was passed to his son, the present owner, in 1949. 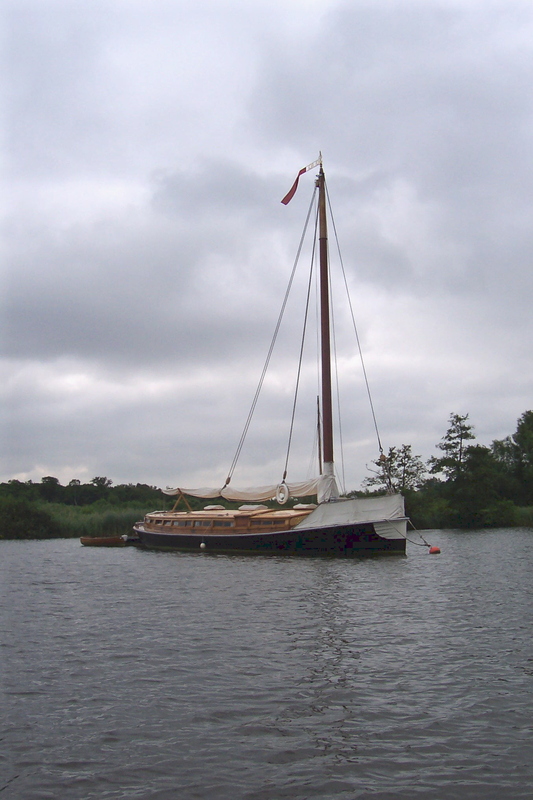 A Stuart-Turner petrol generator was installed in 1946, and a gas cooker in 1949. 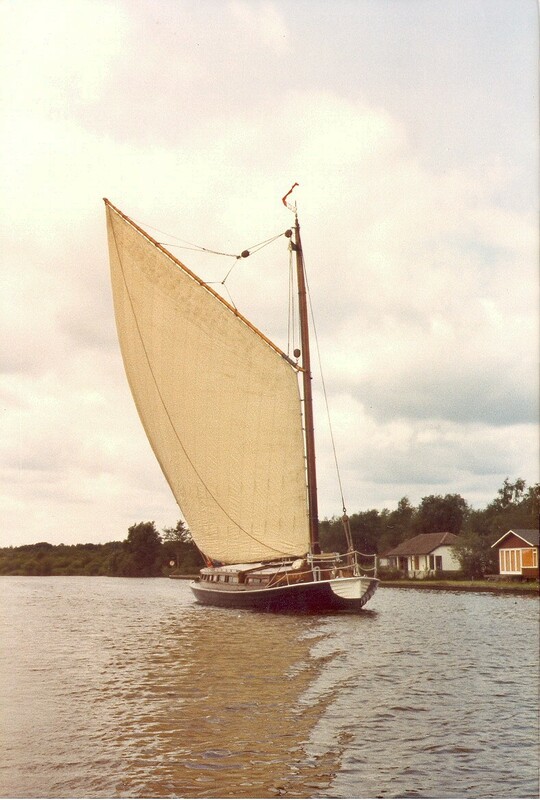 She is an example of a large clinker built vessel, with an English oak hull. 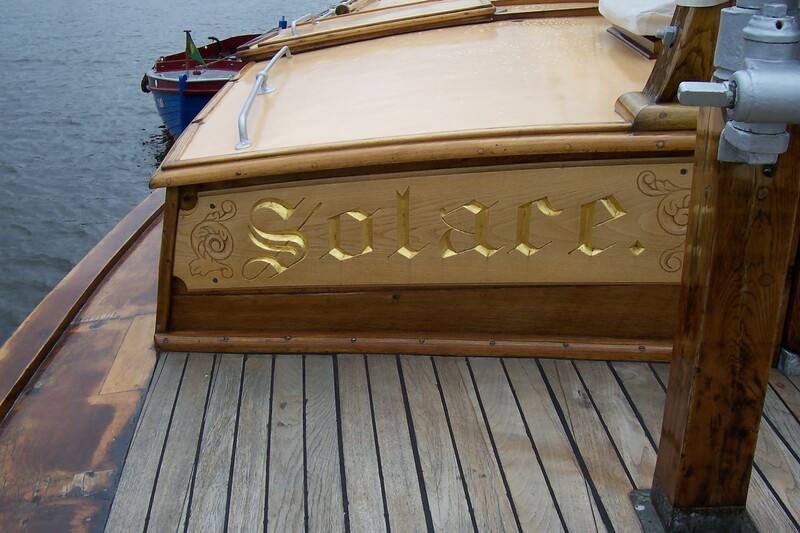 In the autumn and winter of 1999 SOLACE was hauled out at Prior’s slip for repairs. 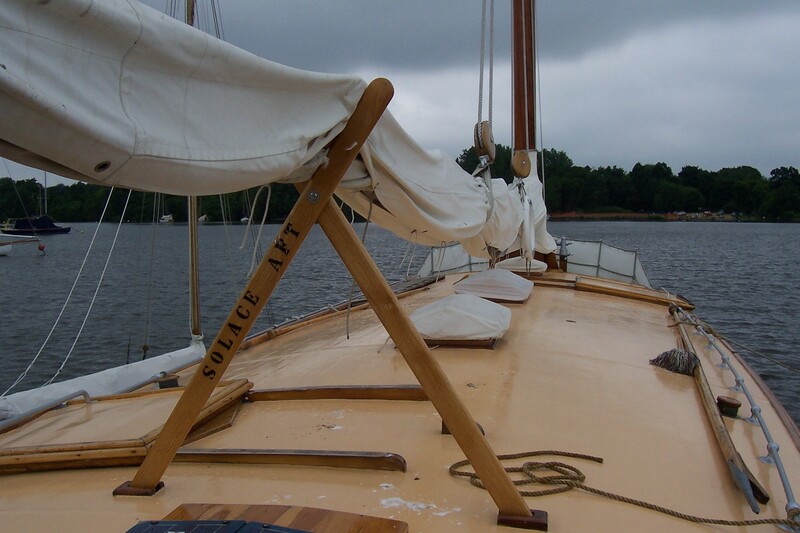 Her bow and stern underwent major replanking, with a number of new part-timbers near the bow. 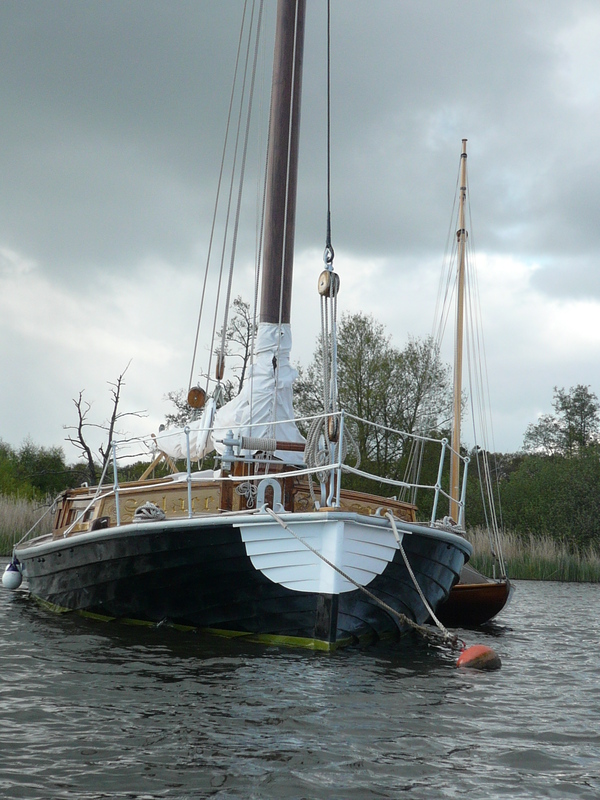 A small Fisher-Panda diesel generator replaced the old petrol generator. 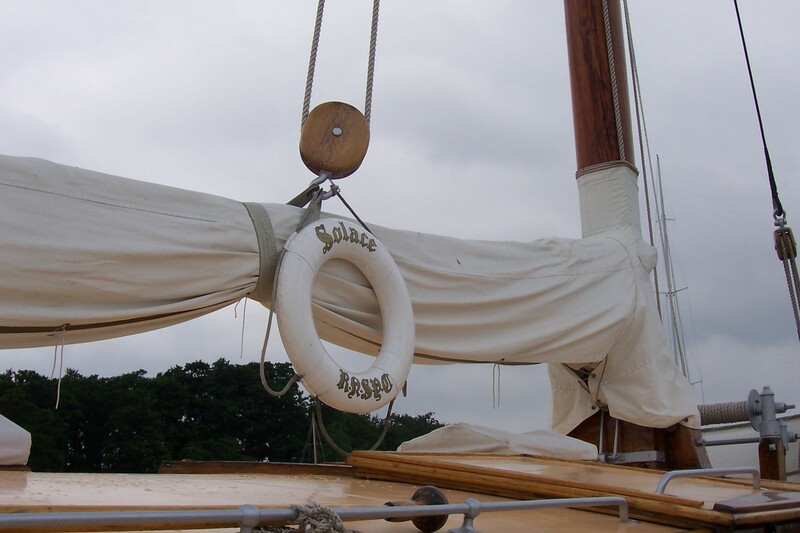 All of the original cabin basins and WCs remain, but the craft does now have a shower, hot and cold water and a small fridge in the galley. 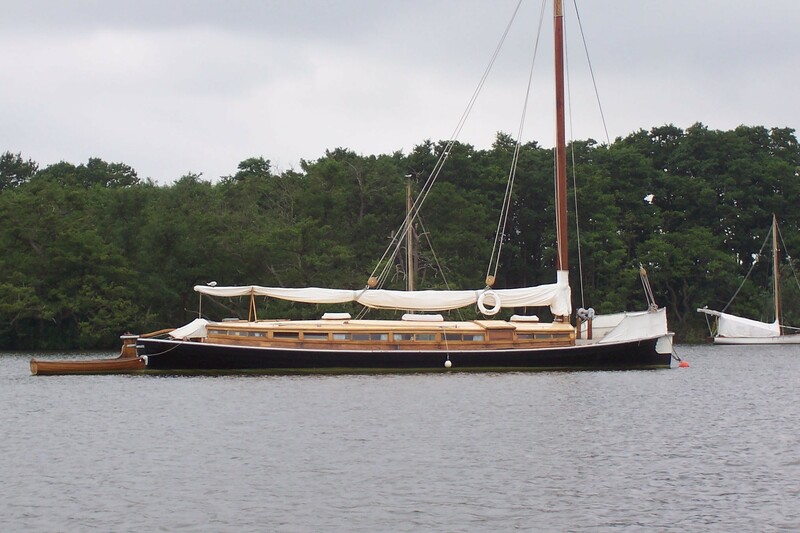 She has never had an engine installed. 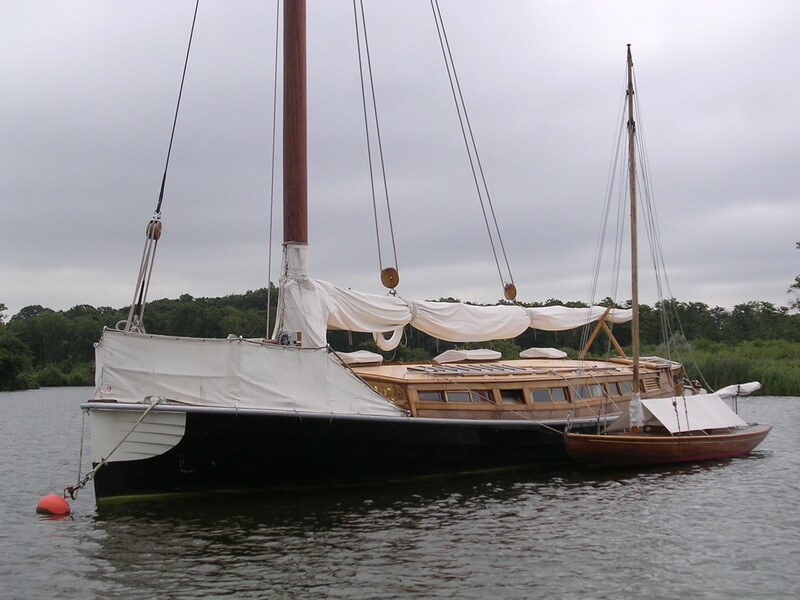 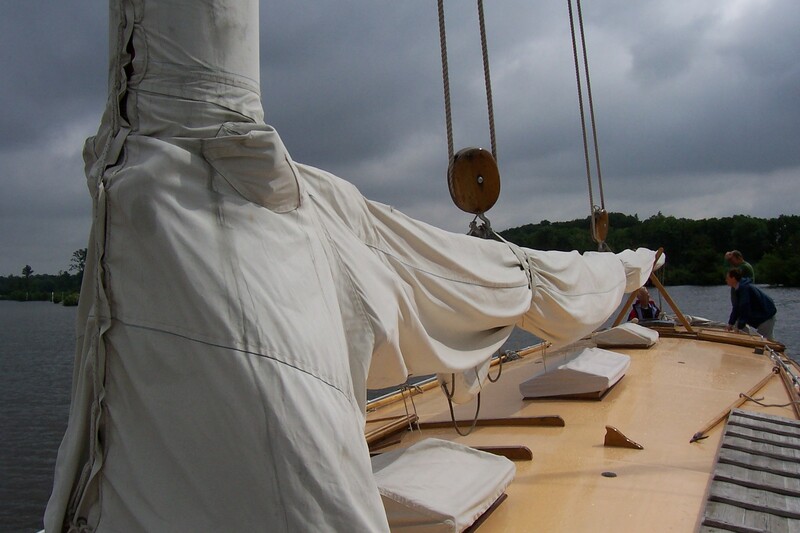 In 2002 a full length steel keel was fitted in place of the original pitch pine one, in order to strengthen the whole vessel, which had hogged badly. 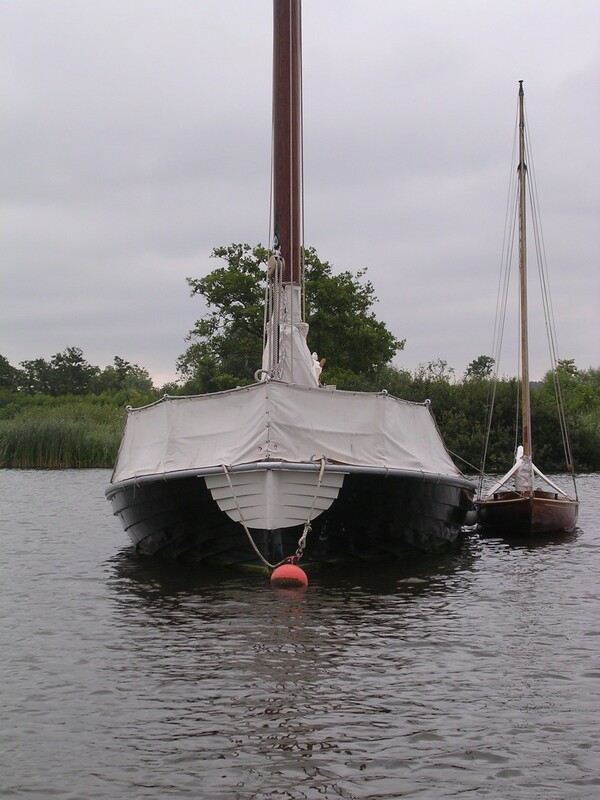 Hauled out at Prior's slip for repairs.